Please Note: Due to the dimensions of this product, we are unable to offer a free returns service for unwanted orders. This does not affect your statutory rights. 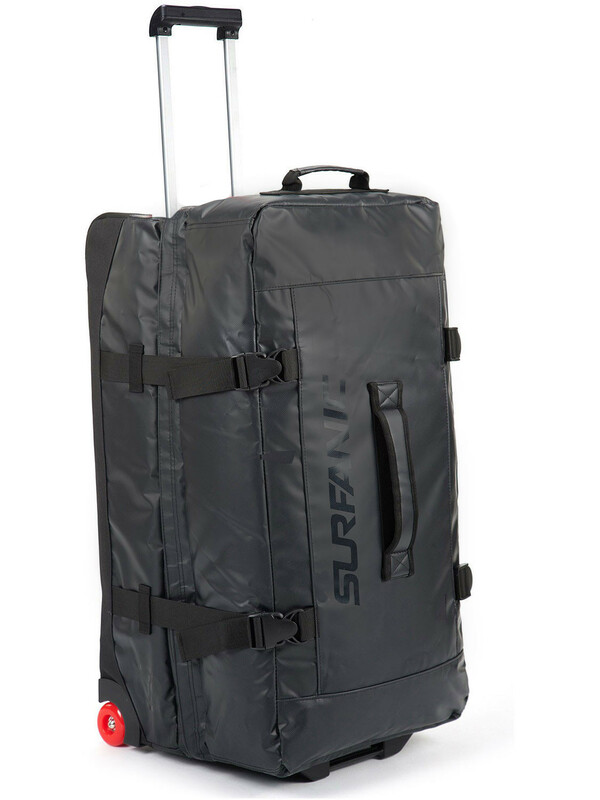 Lightweight at just 4.2kg, the Surfanic roller bag is the perfect workhorse for any trip. Pack it to the max, and avoid being stung at check-in for that extra baggage allowance. If you're travelling light, the roller compresses right down to secure your load. Stand the bag up and when compressed your gear stays put. The split level design makes packing easy, and prevents your gear looking like you slept in it. Built to last, the roller is constructed from heavy duty tarpaulin where it matters. The Padded grab handles make the roller easy to carry, but why bother? Throw it to the floor, extend the handle and wheel the bag with ease. The skate wheels glide silently and effortlessly on any surface, save your energy for what matters.